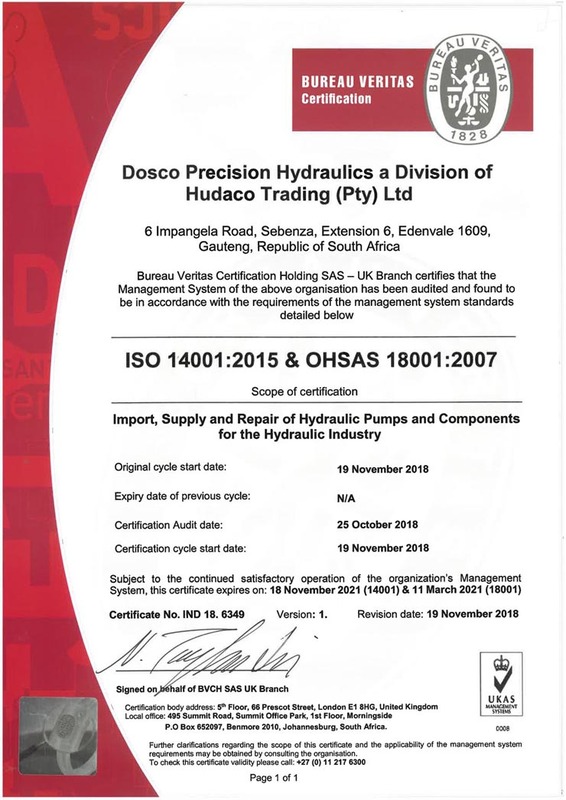 DOSCO meets ISO 9001:2015 Quality Management Systems Requirements. DOSCO meets ISO 14001:2015 Environmental Management Systems requirements. DOSCO also meets OHSAS 18001:2007 Occupation Health and Safety Management Systems Requirements. 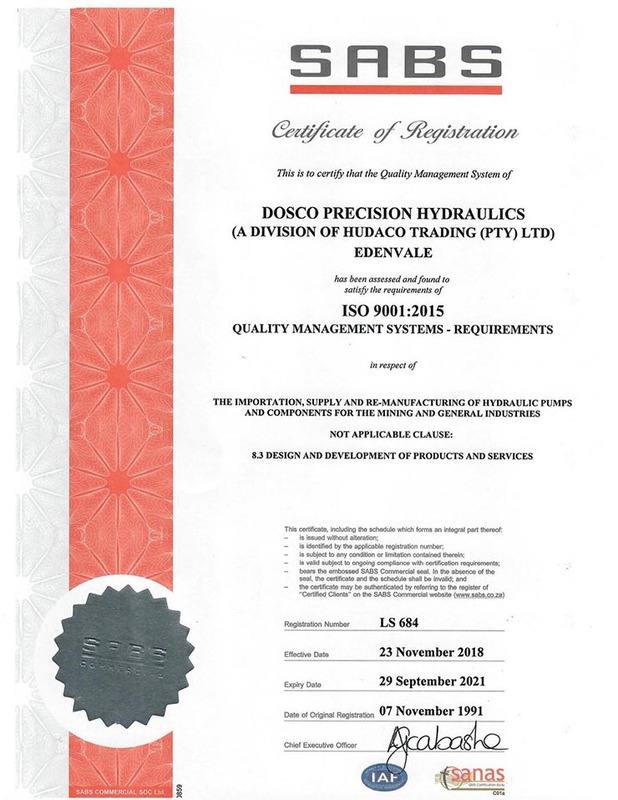 DOSCO, as a subsidiary of HUDACO, is a Level 3 Contributor to South Africa’s B-BBEE code of practice. DOSCO is committed to providing a safe and healthy environment for all its employees, customers and surrounding communities.